Thumbing through a magazine you notice the awe-inspiring nature photographs of animals. How can you do the same thing without extensive travel? Visit you local zoo or aquarium! Bring your camera and you too can take inspiring nature photos. Since it’s winter, take photos of animals that live in colder climates. 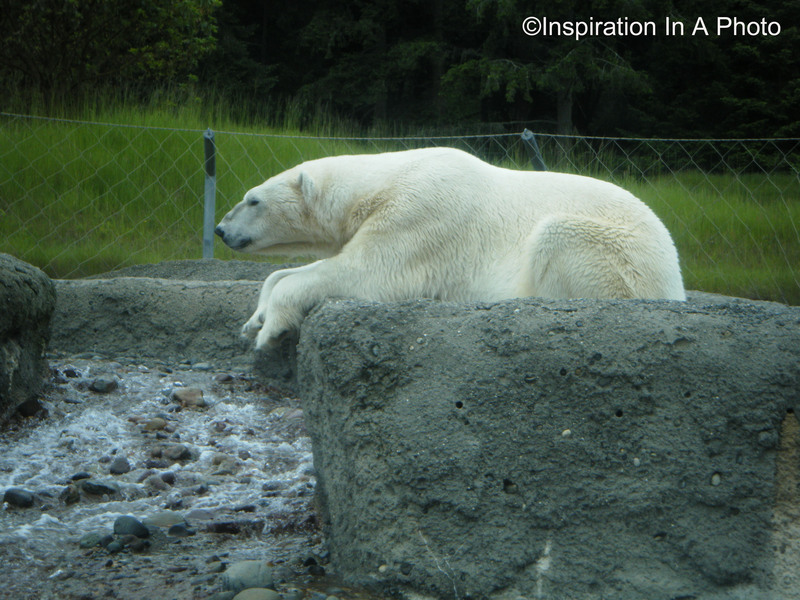 This picture I took of a polar bear would be a great addition to my winter decorating scheme. Frame the picture, or groups of pictures, and hang them on your wall. Ready to try it? Go out and see what awe-inspiring images you can capture! Great suggestions! The zoo is an awesome place to visit to make you feel like you’ve traveled around the world in an afternoon – and on a budget!